Members of the "Association of Holy Turks of Ardebil in the city of Qom" ( Anjoman Turki Moqadas Ardebili in Qom) are summoned to Ministry of Information! Several active Turkish members in the city of Qom once again been summoned to Ministry of Information. Mr. Yusef Soleymani who was summoned and interrogated during last two days , today Tuesday once again been summoned. Also, Mr. Mehdi Molaie after spending three days in detention once again on Tuesday was summoned for interrogation. According to an informed sources five other active members of the association have been summoned to Ministry of Informaion and if it was necessary we will bring you their names. Apparently Mr. Yusef Soleymani 44 years of age who is a photographer and is interested in Turkish literature and culture was charged for organizing "aniversary of 21 Azar" which is about the formation of democratic government of Azarbayejan headed by Mr. Pishevari right after second world war. In another news a student who was detained for seven days in the city of Qom was released from prison.Mr. Reza Darjazini a grade ten student said; while in Ministry of Information detention he was encountered unfair treatment and was insulted . Reza who was expelled from school has return to school with a written undertaking by his father who is a clergyin the city of Qom . journalist is arrested in Orumieh city ! Ormo News( Feb. 19/07) : Mr. Esmail Javadi journalist and editorial member of Weekly " Our Future") the other day was arrested by agents of Ministry of Information in the city of Orumieh. This arrest took place on Sunday afternoon and it seem he was arrested because of the call to Azarbayeja people to participate in a protest on Wednesday. After arrest the home of this journalist was searched by the agents and his computer together with his personal belonging, books and some of his written materials were taken away. meanwhile , Yesterday; several shop keepers along Yekanian area in Orumieh city was also arrested. The people who are arrestes are : Abolfazl Alilu , Mahram, Hossain Hossaini-kia and Jafar Hossaini-kia ( Father and son) are among those arrested. According to news the shop of these people were searched by the agents and many of their personal belonging was taken away.There are no news about these people. In another news ; Sunday morning ( Feb. 20/07) agents from Ministry of Information arrested Mr. Ahmad Ghoreishi while he was in his store in " Maydane Markaz- Pasazhe velayate Faghieh" in the city of Orumieh. According to witnesses; agents who were in plain cloths after searching his store , took away some of the leaflet about ( Mother tongue day) event and put handcuff on him and took him to an unknown location and his store was closed down by security officials. In recent days propaganda for "mother tongue day" gathering has been increased and leaflet could be seen in the city and among people. (New York, February 27, 2007) – The Iranian Judiciary should immediately end its prosecution of several women’s rights advocates for exercising their right to freedom of peaceful assembly, Human Rights Watch said today. On March 4, the Judiciary will hold a trial for five women charged with “acting against national security by participating in an illegal gathering.” The women on trial are: Nusheen Ahmadi Khorasani; Parvin Ardalan; Sussan Tahmasebi; Shahla Entesari; and Fariba Davoodi Mohajer. In addition, the Judiciary has charged at least four other activists, Alieh Eghdamdoost, Bahareh Hedayat, Delaram Ali and Azadeh Forghani, with the same offense but has not set their court date. “Iran is prosecuting women for peacefully protesting laws that discriminate against them – and that violates Iranian and international law,” said Sarah Leah Whitson, director of the Middle East and North Africa division at Human Rights Watch. The Judiciary filed charges against the women’s rights activists following a public demonstration to protest Iran’s discriminatory laws against women in Tehran on June 12, 2006. The security forces prevented peaceful demonstrators from gathering and advocating for women’s rights. Police agents beat the demonstrators with batons, sprayed them with pepper gas, marked them with color spray, and took 70 people into custody. All the detainees have since been released. Shirin Ebadi, the 2003 Nobel Peace Prize winner, who is a lawyer for several of the accused women, told Human Rights Watch that the June 12 gathering fulfilled all of the conditions set forth by Article 27 of the constitution and the Judiciary has no legal grounds for prosecuting the demonstrators. On January 5, 2007, the Judiciary held a trial for Zhila Baniyaghoub, a journalist who attended the June 12, 2006 demonstration. The authorities charged her with “acting against national security by participating in an illegal gathering.” Police agents arrested her during the demonstration and released her on bail after one week of detention. During the trial, her lawyer, Farideh Gheirat, argued that Baniyaghoub was present at the demonstration as a journalist to cover the event. The presiding judge subsequently dropped charges against Baniyaghoub and acquitted her. Human Rights Watch commends Baniyaghoub’s acquittal and calls on the Judiciary to drop charges against all other defendants as well. In addition to prosecuting women’s rights activists, the government has also increased its persecution of people who continue to call for reforms of Iran’s discriminatory laws against women. Women’s rights activists launched a campaign, “Change for Equality,” to collect 1 million signatures to protest these laws. The authorities have targeted campaign volunteers by harassing them and denying them the ability to advocate for their cause in public spaces. They have also blocked access to the campaign’s website by filtering it. During the past two weeks, campaign organizers have moved their website to a new domain at least three times due to filtering. Three journalists from Gilan province are detained ! While the president is in this province; the ministry of information agents have arrested and detained three journalists and human rights activists. These activists are member of " Advar Tahkim Vahdat " an Islamic student organization - Gilan branch and their names are : Mr. Babak Mehdizadeh,Mr. 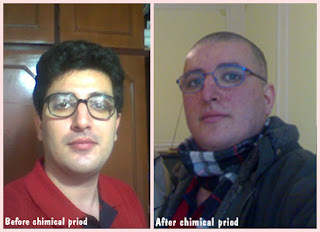 Arash Bahmani and Mr. Kuhzad Esmaili . Mr. Abdolah Momeni spoksperson for the organization have said: In the evening of Thursday agents from Ministry of Information arrived at " Advar Tahkim Vahdat"- Gilan branch office and by showing their identification card arrested three of its members . The detainees have contacted their families via phone and reported their arrest but said; they are not interrogated yet.the three journalists as well contacted their families on Friday and told them their court hearing will take place on Sunday. They also told their families that the interrogator have asked them to tell you to prepare yourselves to bail us out. Ahmad Batebi on hunger stike ! A group of students from Tehran University - Management College released a statement on Ahmad Batebi's situation! so that he can start looking for medical treatment outside the prison. At 8 :00pm On Wednesday February 21, Somayieh Bayenat the wife of Mr. Batebi was kidnaped by an unknown group. According to her brother , Somayeh in a contact by phone have reported of her arrest but after that in another contact at around 2 :00am denied her arrest and said she is going to the city of Mashhad for 5 days assignment. Her brother said: " We are sure that she has been arrested and even some have reported that she was piked up by a "405 model Pezho car" . He added that : probabely his sister last night call was under agents pressure and at present her both phone line are cut off ". She was arrested because she was threatened before for several time not to talk to reporters and not to have interviews about her husband's situation. In recent days Mr. Batebi had several nervous breakdown and was transfered to hospital and at present he is also in the hospital. Because of increase in pressure in last week which ended Mr. Batebi to hospital and on top of that his wife arrest increased the pressure and now Mr. Batebi is on dry hunger strike ( refusing to eat solid food). What's Happening in Iran ? 44 student publication of Amir Kabir University in a statement protested to the restriction and closure of student publications! In this statement students protested Amir Kabir University's general manager of cultural affairs for his interference into the students and their publication affair and as well the university's affair. In this statement students indicated; decrease in financial support for student publication from current 69% to 8-39% is the biggest crime to student rights to activity. The statement also said; 90% of those students who were summoned to universitys diciplinary committee were from university publications and 70 % of those have background as manager in charge of the publications. Signed by : 44 Amir Kabir University publications. Arash Sigarchi is a blogger and a journalist , he is also student at law school.He has been sentenced to two years prison term for what he has written in his blog . 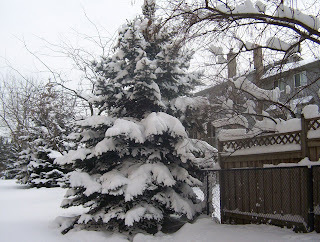 While in prison he found out that he has cancer and now he is under chimo -therapy. Soon he will go to surgery to remove the tumor from his tongue. The cost for operation is 10 million Tuman- Iranian money. He needs our moral and financial support. All the best for Arash. Teachers from six provinces in Iran went on strik ! On Monday February 19,07 many teachers from six provinces in protest to their human rights violation and salary condition and in response to government decission on state services bill stoped attending to their classes and announced; if their demands went unanswered they will take more serious actions. (RSF/IFEX) - Regulations adopted on 27 November 2006 with the aim of facilitating control of the Internet have been openly used for the first time by the Iranian authorities to justify blocking access to the conservative online publication http://www.Baztab.com, said Reporters Without Borders. The press freedom organisation also confirmed that the photo-sharing site http://www.Flickr.com is not accessible in Iran, while several Internet service providers are still blocking http://www.YouTube.com and access to the Farsi-language pages of the Reporters Without Borders website ( http://www.rsf.org ) is being blocked with increasing frequency. "We condemned the November decree for various reasons," Reporters Without Borders said. "The first reason was the requirement for website editors to register with the authorities. Although impossible to implement, it provides grounds for arbitrarily closing online publications which the authorities do not like. The second reason was its creation of an 'Internet surveillance body' under the control of the Ministry of Culture and Islamic Orientation that is supposed, inter alia, to combat the publication of 'false information'." The organisation added: "The authorities are making open use of the decree for the first time, and we see that the target is a website that supports Ayatollah Khamenei, in what is a war within the conservative camp. The regulations are almost certainly also being used to block access to 'immoral' sites such as Flickr or YouTube." The Baztab.com site was banned on 12 February 2007 for violating last November's rules, which forbid the publication of "false" information, "violating the constitution" and attacking "personal privacy" or "the country's unity." The site recently published reports on Iran's nuclear industry and on corruption in which President Mahmoud Ahmadinejad was lambasted ( for an example of a Baztab article go to http://www.rsfblog.org ). The site's editors have protested against the ban, insisting that parliament is responsible for anything to do with control of the media and that the November decree is "illegal" and "unconstitutional." Aside from the partial or complete blocking of the Flickr, YouTube and http://www.rsf.org websites, Reporters Without Borders has noticed that several news aggregators are also now banned in Iran. The http://www.blognews.1bn.eu site, which has a review of Farsi-language blogs, and http://www.balatarin.com, which allows visitors to vote on articles (on the model of the US site Digg) have both been blocked for several weeks. The information contained in this alert is the sole responsibility of RSF. In citing this material for broadcast or publication, please credit RSF. TEHRAN, Feb 17 (Reuters) - Iranian security forces arrested several suspects after a bomb explosion in the southeast of the country, the semi-official Fars news agency said on Saturday. Police and insurgents clashed after the explosion at a school in the city of Zahedan on Friday. The blast caused no casualties, the agency said on Friday. "Some people suspected of being behind the Friday bombing have been arrested," a local military official told Fars. "The armed bandits, in their new crime, exploded a percussion bomb and fled the scene," Zahedan governor Hassanali Nouri was quoted by Fars as saying. He linked the bomb to the "massive participation of people in the funeral of victims of Wednesday's terrorist act". A booby-trapped car blew up a bus owned by Iran's elite Revolutionary Guards on Wednesday, killing at least 11 people and wounding 31 others. Responsibility for that attack was claimed by a shadowy Sunni group, Jundallah (God's soldiers), which Iran has said is linked to Osama bin Laden's al Qaeda network. Tehran has blamed Jundallah for past killings in the area bordering Pakistan. It was unclear if the same group was behind the blast in Zahedan. Fars said that five arrested suspects accused of Wednesday's bombing had been put on trial on Saturday. "The court reviewed the case of one of the accused people. The judge will issue the verdict soon," it said. Iran has accused Britain and the United States of supporting ethnic minority rebels operating in sensitive border areas in an attempt to destabilize the country. "International organisations can send their representatives to investigate the documents showing involvement of America and Britain in the blasts," Fars quoted Soltanali Mir, a senior local official, as saying. The United States has accused Iranian groups of involvement in the war in Iraq. Iranian officials accuse the United States of trying to create a crisis in the Islamic state through ethnic divisions. "Explosive devices and arsenals used in Zahedan's Wednesday blast are American-made," Mir said. The upsurge in unrest in Sistan-Baluchestan follows violence in Iran's oil-rich southwestern province of Khuzestan, which has a minority Arab population. The United States accuses Iran of wanting to build nuclear weapons. Tehran insists its atomic work is aimed only at producing nuclear energy. Peace for Middle East ! "Association in Defense of Press Freedom "protested government policy on banning "Baztab" website! Mr. Shamsolvaezin the spoksperson for the "Association in Defense of Press Freedom" has commented on ministry of guidance press desk policy in banning " Baztab" website , he said: The "ADPF"believe any restriction on free flow of information is contrary to the constitution and the natural rights of our nation and in particular this policy is in contradiction to the article nine of the constitution. 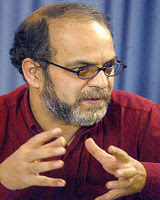 Mr. Shamsolvaezin said : This ministry is trying to restrict,filter or close those website that have different opinion from their policy.The association warned the ministry for their policy towards closure of websites and called it contradictory to article 168 and article 9 of the constitution and demanded the officials to stop these policies. Mr. Abbas Amirentezam's leave of absence have been extended for another three months! 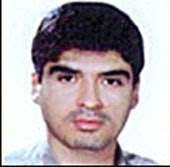 Mr. Amirentezam is the longest served political prisoner in Islamic Republic with a record of 27 years. Mr. Amirentezam was the deputy of prime minister Mr. Bazargan ( The first prime minister after revolution in 1978-79) and spoksperson for the provisional government.With this extension on his leave of absence from prison ( for medical reason) he will be out of prison until May. Mr. Amirentezam was charged with conspiracy against national security . 151 expelled teacher from Iranian Kurdistan province wrote a protest letter! The " Kurdish human rights news agency " has published a letter with 500 signature from teachers and school principals. In the letter they protested to the expelling of 1510 teachers from Kurdistan province. For example: 334 teacher from Sanandaj city, 281 from the city of Marivan, 230 from Baneh, 244 from Saghez and the list goes in other cities in Kurdistan. Some of these teachers who have been expelled from the early of revolution days; together with their families are living in a harsh condition. After many years of complaining to the Islamic Republic officials and legal authorities and not receiving any responce ; now they are asking human rights organizations , international labour organization and teachers association from all over the world to support their struggle and write petition to Islamic Republic of Iran. In this regard Radio Germany ( DW ) had an interview with Mr. Ayubi president of the Association of Expelled Teachers. Q-1510 teacher were expelled righter after the revolution up to now , why are you writing protest letter now? A- Up to now we have written many letter to IR's officials ...but they diden't give us a positive responce. Every day they gave us promises and later they wrote ; it is impossible to bring you back to the job. ...Their letters are available...we wrote letter to president Khatami and to current president who was in this province , i myself and several others gave him letters and the president said he gave the letters to ministry of education and .... all response was negative. Four days ago we received a letter from presidents office, that letter had also a negative response. Q- Negative answere to what , to teachers ....? A- They have said: We cant return you to your job anymore. Because those ruling was legal.While in 1980 their own "commission of article 90" wrote that; expulsion from September 1980 was illegal. On this reason we believe we must return to our job . They have expelled us with complaint from a person named "Arasto Irani ", all without any trial, without defending themselves. Q- Mr. Ayubi, does your association have any relation with other teacher who recently have had protest in front of parliament in Tehran , did you try to join a wider gathering than only Kurdish for your demand? Report from Arash's account and donation that have received! Up to this hour 2640 Euro have been deposited to Arash's internet account . 52 people from different part of the world through pay-pal have helped. From Maleysia , Japan , Portugal and UAE to Sweden , Canada , Australia and America have helped. 2 people have paid cash. Some have deposited money directly to Arash's account in Iran. Arash Sigarchi will go to surgery on February 20th , he needs two surgery ( for removing the tumor and reconstructing his tongue). The medical expenses is gargantuan.It has been said that the expense might be around 10 million Tuman ( 1 Canadian dollar is = 700-800 Tuman depends on the market). 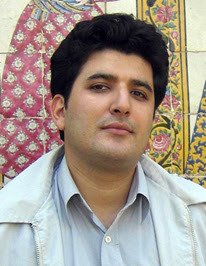 Arash Sigarchi is the imprisoned journalist and blogger . Despite initial denials by Iran’s state-run media, Baztab news website [affiliated with former Passdaran Revolutionary Guards commander Mohsen Rezai] confirmed the “mysterious” death of Ardeshir Hosseinpour, a senior nuclear physicist involved in the Islamic Republic’s nuclear program. According to published reports, Dr. Ardeshir Hosseinpour was born in 1962 and had a degree in electrical engineering and a PhD in nuclear physics. The local media in Iran only reported that Dr. Hosseinpour had passed away “24 hours after being awarded the top prize at the Kharazmi International Science Festival,” held in Iran every year as part of the commemorations for the victory of the 1979 revolution. 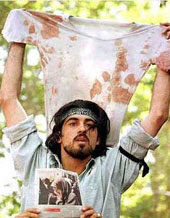 The mysteries surrounding Hosseinpour’s death began with the unofficial announcement of his death 6 days after the event. In recent days, some international media outlets claimed that the Israeli intelligence agency, Mossad, was involved in the death of this 44-year-old physicist. Whats happening in Iran ? looking in to the news and writing the views. Association of Women Journalists condemned plan to reduce women from entering universities! Association of women journalists in Iran in a statement condemned the parliament plan on gender based quota for students. They have said; developing countries are concern to identify what would benefit these socities and based on that they would introduce plan for the developemen.This reduction on women students based on gender quota was introduced by some of the conservative MP's . It is interesting to see increase in women on passing the enterance examination to higher education in Iran which can motivate the women in Iran and the region to strife for higher education and fill the post of executives.The statement sent a strong message to those Mp's who have introduced this motion and called them a bunch of people who would like to keep the patriarchial society. 50% reduction of women in national enterance examination for universities. The Islamic republic assembly in an unprecedent action approved a motion which request for reduction in gender based students in its national enterance examination" Konkur". Since in previous statistic 65% of all higher education students were women, assembly have decided to reduce this by approving the motion.With this new policy which is a clear discrimination against women it will become hard for women to occupy higher position.At the same time there has been reduction of men in enrolling for enterance examination and it is because of social and economical problems they face in todays' Iran. Regime decided to instal hiden cameras in universities! According to news from "Roozna" online news site of "Etemad Meli" newspaper , the news service of Amir-Kabir university students has announced that; Recently there are news that hiden cameras were installed in some of the universities. The regime official believe that, these cameras are for giving better service to students. What is happening? two days ago representative of teachers from all over the country went in front of parliament and staged a rally for increase in their salary. Students are always the first and strong supporters of democracy and freedom in Iran and in the past they were always in front line of struggle. Women and labor movement are also time to time staging their anger from regime. No doubt the struggle of Iranian for democracy and human rights is on its way. 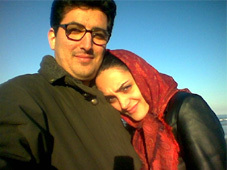 Arash Sigarchi the imprisoned Iranian journalist and blogger with his newly wed wife before his chimo-therapy. 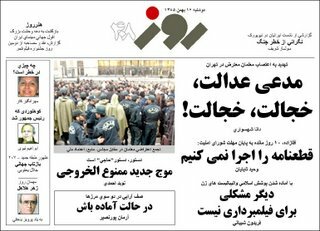 According to "Roozna" the online site for "Etemad Melli" newspaper ,Mr. Mehdi Karubi has criticized officials for closure of " Siasat Rooz" newspaper.Mr. Karubi also criticized the writer of the article and the people in charge of the newspaper.He said: "In my opinion closure of newspaper isn't a right thing to do and a newspaper shouldn't be closed because of publishing an article which was mistakenly published.......". "Siasat Rooz" was closed because, one of the writer in his article instead of using the second omavi caliph he wrote second caliph. This perhaps resonate the current leader as the successor to Khomeini and therefore, angered the officials and they have ordered for the closure of the paper. Arash Sigarchi an Iranian imprisoned journalist and blogger in the past months, found out that he has cancer ( read more in the archive of IRAN WATCH CANADA about him). 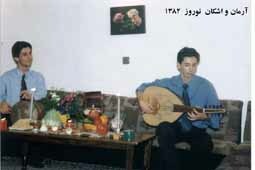 His brother Ashkan ( musician) was killed in a motor vehicle accident (suspiciously ). World has responded positively in helping Arash's medical expenses. More help is needed. Please contact Iranian Association of journalists through IFJ . Mr. Hashem Aghajeri and Mr. Abdolah Momeni are banned to leave the country! The two political activists were going to participate in an international conference with the title" The past and future of refom " in MIT university in US . The two were banned to leave the country in this morning. In the past Mr. Taghi Rahmani and Mr. Erfan Ghaneie- Fard were also banned to leave the country. Iranian teacher's protest for their rights in front of parliament! You claim, you have brought justice,shame ! shame ! One of their demand is an increase to their salary. The representative of teachers' union said : Today more than 700,000 teacher live with a monthly salary of 130 - 250,000 Tuman(close to $200-400 /month) , this means below poverty line.They have demanded the MP's to use the budget to increase their salary. In an interview with Rooz, a CNN producer explained a few points about the recent broadcast of anti-Iranian advertisements in some states. In the past few days, the American Foreign Policy Council (AFPC) has begun a one-week propaganda campaign to raise public awareness of what it calls “Iran’s nuclear threats.” As part of the campaign, the AFPC is financing the broadcast of two 30-second television advertisements on CNN, MSNBC and Fox News. So far, the advertisements have been broadcasted in Washington D.C., Maryland and Virginia. The nuclear clock is ticking … and time is running out. Iran is the world’s largest state sponsor of terrorism - supporting attacks that have killed hundreds of Americans. An Iranian group boasts 25,000 members who are ready to become suicide bombers in the US and Europe. Now, in violation of the UN, Iran is developing a dangerous nuclear capability and has threatened to share it with other. Stand up for peace. Call the White House and tell them to enforce sanctions against Iran today. Iran’s President denies the Holocaust, says he wants to wipe Israel off the map and has supported attacks that killed hundreds of Americans. Iran sent thousands of children marching to their deaths to clear minefields, armed only with plastic keys to unlock the gates of heaven. Now, in violation of the United Nations, Iran is trying to go nuclear and has threatened to share the technology with others. The AFPC’s propaganda campaign reminds many of similar developments that led to the advent of the Iraq War. Are there serious prospects of a U.S. attack on Iran? Mahmoud Ahmadinejad has declared that he is not worried about the country. Hashemi Rafsanjani referenced - indirectly- Ahmadinejad’s statement, saying that, in a meeting with the Supreme Leader, somebody raised doubts about the seriousness of threats facing Iran, but Ayatollah Khamenei responded that the threats were serious. The Foreign Minister, Manouchehr Mottaki, went even further, claiming that there are possibilities for both limited and unlimited wars to be waged against Iran. Though many observers acknowledge that the ads have been broadcasted in limited states, their continuation may point to a dangerous trend. (RSF/IFEX) - Three online journalists and women's rights activists, Tala't Taghinia, Mansoureh Shojaie and Farnaz Seify, were arrested at Tehran airport on 27 January 2007 as they were about to board a plane for India to undergo journalism training. They were released the following afternoon after being interrogated at Evin Prison, in the north of the city. Reporters Without Borders is also concerned about the disappearance of journalist Adnan Hassanpour, who was arrested by the authorities in Sanadaj in Iranian Kurdistan on 25 January and whose family has had no news of him since. "The arrest of these online journalists demonstrates President Mahmoud Ahmadinejad's security and ideological paranoia which prompts him to ban all contact between journalists and foreign organisations and media," the worldwide press freedom organisation said. "This incident is also revealing of the fear that the women's rights movement produces within the regime", it added. Tala't Taghinia, Mansoureh Shojaie and Farnaz Seify were all due to undertake journalism training in India, funded by a foreign organisation, along with 12 other people. Most of them are members of the women's cultural centre, an organisation which has launched a petition calling for reform of laws that discriminate against women. The homes of the three journalists were also searched and their computers seized. Although they were released on 28 January, the security forces told them that they would be questioned again in the coming weeks. Their computers were not returned to them when they left the prison. Tala't Taghinia and Mansoureh Shojaie contribute to several Iranian online publications, including "Zanestan"("City of Women" - http://herlandmag.net/ ) and "Tagir Bary Barbary" ("Change to Equality" - http://we-change.org/ ), which campaign for women's rights. Farnaz Seify is a journalist for the daily "Sarmayeh" and runs a very popular blog in Iran, http://www.farnaaz.com/ , which has been inaccessible since her arrest. 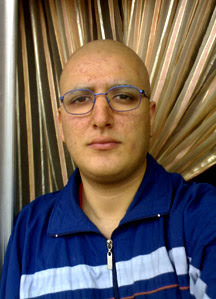 Journalist Adnan Hassanpour, who was arrested in front of his home on 25 January, works for the weekly "Asou". Publication of the weekly has been suspended since 2005 on the orders of the Culture and Islamic Orientation Ministry, because it carried articles about the very tense situation in Iranian Kurdistan.